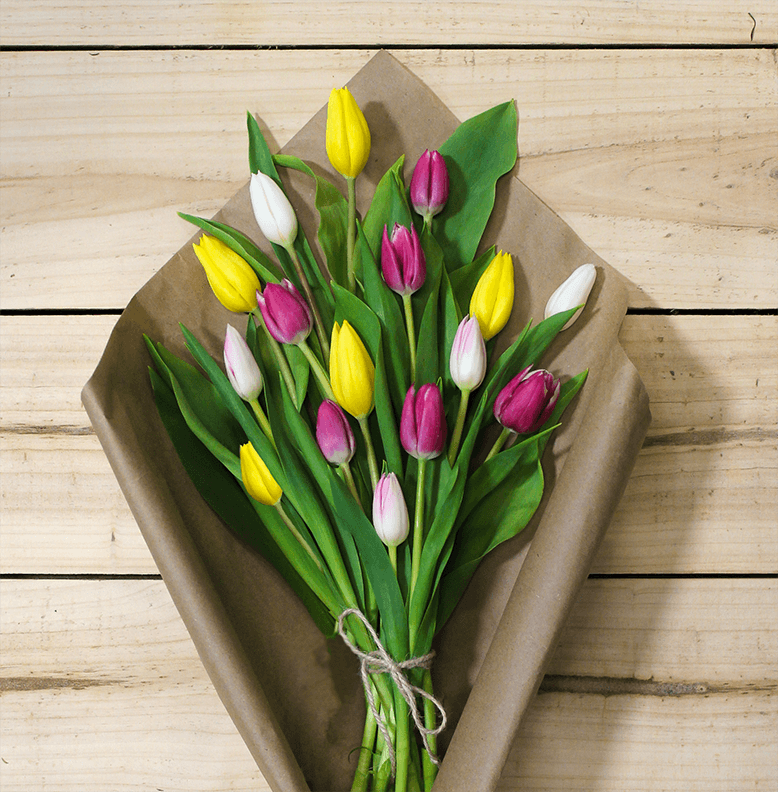 There is no better way to welcome Spring, than with our Assorted Color Tulips Bouquet. These colorful blooms will bring joy and happiness to any lucky recipient. This vibrant array of tulips will arrive direct from our farm- fresh facility, beautifully presented in an award winning floral box specially designed to create a beautiful presentation. After purchasing a tulip bouquet cut off any white portion of the stem to allow better water intake. To prevent the intake of air into the stems, give them a fresh cut under water. Re-cut 1 inch from the flower stems every 4-5 days to maintain water uptake.Check the water in the vase frequently. To a cut tulip, the secret to long life is fresh water and lots of it!